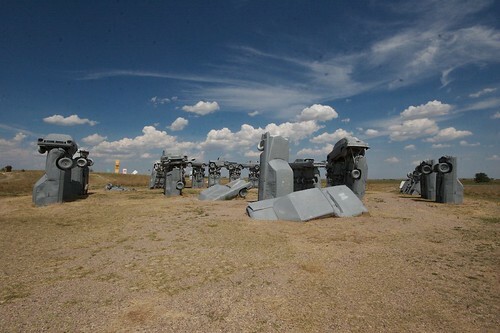 A strange looking structure, located near Alliance, Nebraska, USA replicates the famous Stonehenge. The only difference is that instead of stones, vintage cars have been used to create the shape which is almost identical in size to the original in England. 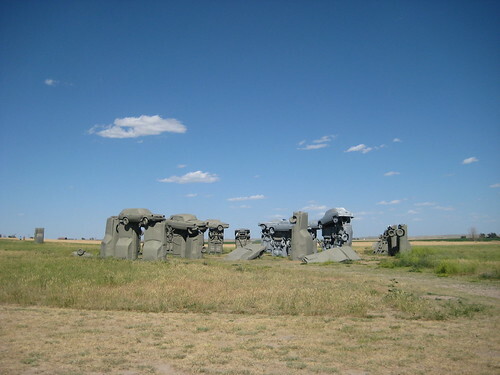 Built in 1987 by Jim Reinders, as a memorial to his father, the structure is known as Carhenge and has a diameter of 29 metres. It consists of 38 cars, some buried upright in 1.5 metres deep pits to act as columns, over which more cars have been welded to create the arches. 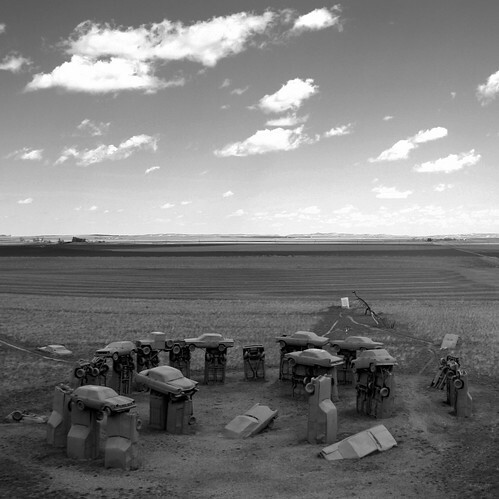 All the cars have been painted grey to give it from distance, a more realistic looks of Stonehenge. 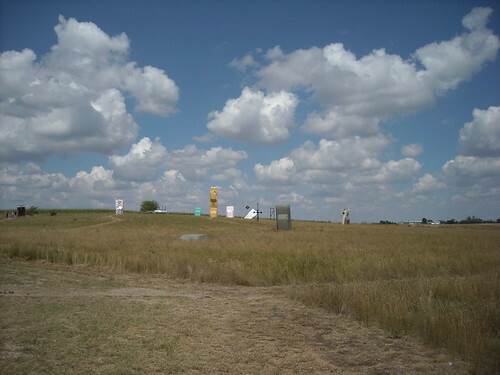 Carhenge was initially disapproved by local council who had even ordered its demolition, but resistance/appeal by local residents led to rescinding of the order. 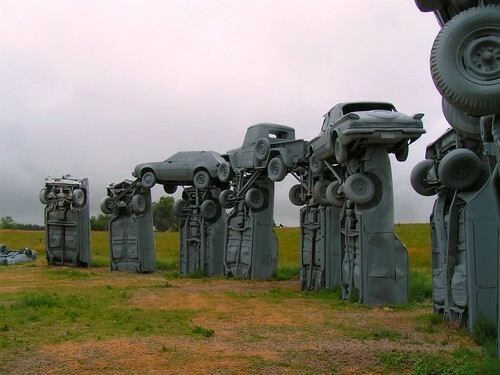 It is now a popular tourist spot and few more artistic structure made from old cars, were added later and the area is now known as the Car Art Reserve. Credits: Shafiq Hasan of Pinnacle Luxury Tours who e-mailed me about this. Thank you Shafiq.